No matter how careful you are with your mobile gadgets sooner or later you WILL drop them. If you believe Plaxo, a full 19% of you will drop them into the toilet. Whether you believe Plaxo or not, the fact is that most gadgets do not bounce well. When dropped, it is likely that there will be damage…a scratch, a cracked case, or in some instances a broken LCD screen. We have looked at a lot of protective cases for all different kinds of gear (camera, iPad, etc.) over the years. With our recent upgrade to the iPhone4, we have been busy checking out cases for it. A few of them (Otterbox, InnoPocket, etc.) have even made it through our selection process and received FirstLook/FirstUse reviews. 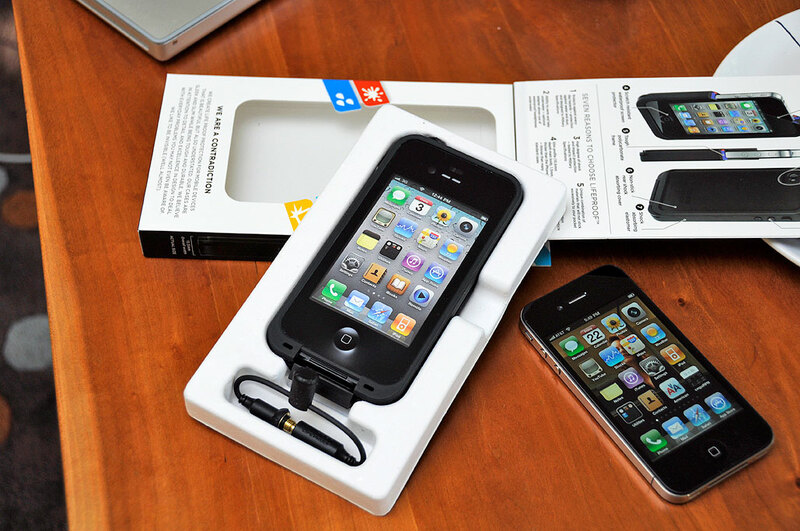 If you really want your iPhone to survive a drop, you need to protect it with a case designed to take a hit. There are quite a few cases on the market that will do a great job at it. If you want to protect it from water damage, though, the choices narrow considerably. 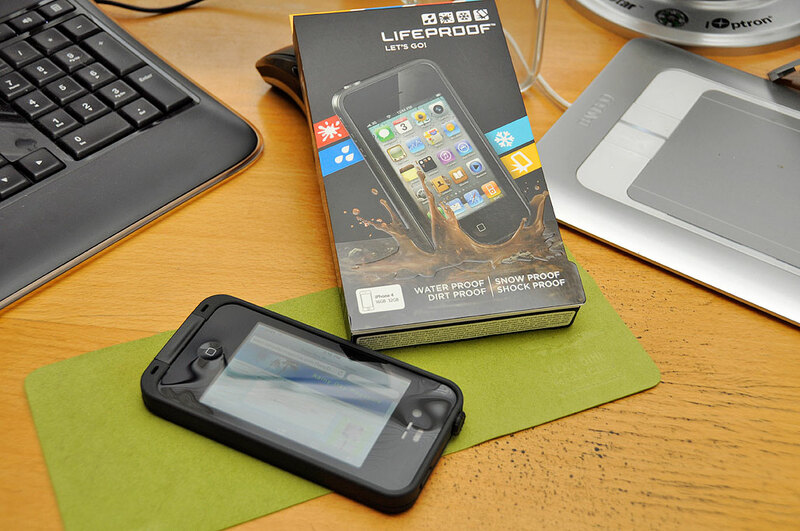 And if you want the case to be thin and good-looking on top of that…well, there is only one option: LifeProof. Making a case like the LifeProof is a tall challenge and it took them a while to sort out all the bugs. OtterBox has been in the game for more than a decade and they have stopped making waterproof cases for iPods and iPhones. So when LifeProof announced their waterproof case in late February this year, we watched it with interest. Six months later, they are starting to ship in quantity. Along the way, they have hit some bumps. Still, getting the product out the door is a huge accomplishment for any startup. The LifeProof spec claims all of that and more: glass-coated camera ports, sealed speaker grills, water-proof headphone jack, verizon- and AT&T-compatible. Oh yeah, it also comes in white. We have to say that we were a bit skeptical when we first heard about the case. However, enough readers asked us about it that we felt compelled to check it out. We are happy to report that the case made a great first impression. Judging by the details, it is clear that a lot of thought went into its design. The materials used for the front and back covers are different. The front and side are slightly rubberized and the back is smooth. The reason is so that the case will be easy to grip yet still slide out of the pocket without difficulties…nice! As expected, all of the ports, sockets, and openings are sealed. Sealing them is the easy part, not interfering with their functions is the hard part. We’ll let you know how they did when we have had some time with the case. Users should be aware that the LifeProof case is not something you put on and take off repeatedly. The clasps holding the case together will wear a little from each open/close cycle. As the case is rated to have an open/close life of about 50 such cycles, it should be more than sufficient for the lifetime of the phone if used as intended. We won’t go into details on the installation of the case as there are several well-produced installation videos on the LifeProof site detailing the steps. The process is simple, but must be done properly to ensure the seal will be water-tight. Suffice to say that dust is the killer of water-tightness. LifeProof is very clear on this point and gave many tips on how to achieve a clean water-tight seal. 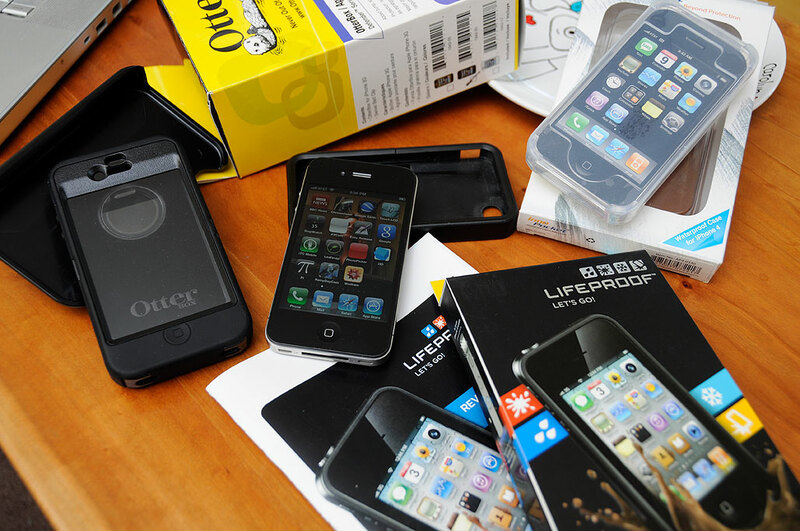 Now that our iPhone4 has been “LifeProof-ed,” we’ll see how it actually performs in real life. The FirstUse report will be posted by mid-August. Look for it on the same Bat Channel.